Around half of all your heat can escape if your home is not properly insulated. Instead of turning up the thermostat, get insulated! These simple tip will show you how to insulate your home, saving you hundreds on your energy bills, as well as making a massive reduction to your carbon footprint. Stop energy loss via the doors. Fit draught excluders around all exterior doors, and interior if needs be. 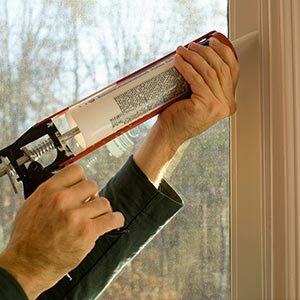 Sealant strips can be bought cheaply from DIY stores and are very easy to fit – just like applying sticky tape. Don’t forget to get a brush trim for letter boxes, bigger gaps and the bottom of doors. Ensure the windows are well insulated. Cracks and crevices around window frames are a popular escape point for warm air. To check for weak points in your window, run the palm of your hand around the edge of the frame. If you feel a breeze, you’ve got a hole. Patch the weak points up with a putty or sealer. To make it really easy on yourself get the type that comes in a tube. Squirt it on, smooth it over, job done. Use window dressings to assist. Closing curtains or blinds after dark also traps in the warm air and prevents draughts. And it looks cosier too! Use curtains and blinds with thermal backing for added warmth retention. Fill any floor gaps. Most homes have gaps between the skirting board and the floor, and if your have floorboards there’s likely to be a few gaps between them too. This is a job for the silicone sealer. If you have a wood floor and want to insulate thoroughly, you could get the experts in to fit floor insulation beneath the boards. Putting a rug down isn’t a bad idea either. Insulate the loft or attic. Laying loft insulation on the average home can save a whopping 1 tonne of carbon dioxide a year, and make a major dent in you bills. This is one of the most efficient energy savings options, it is cheap and simple, any person with no experience can do this. Build drywall over “cold wall”. If you have some “cold wall” in your home , usually concrete wall with no or with bad insulation you can build 10–15 centimeter thick dry wall to it. Wrap your hot water tank in a cosy 80 mm jacket. This will cut heat loss by 75 %, and you’ll recoup the cost of it in less than 6 months.